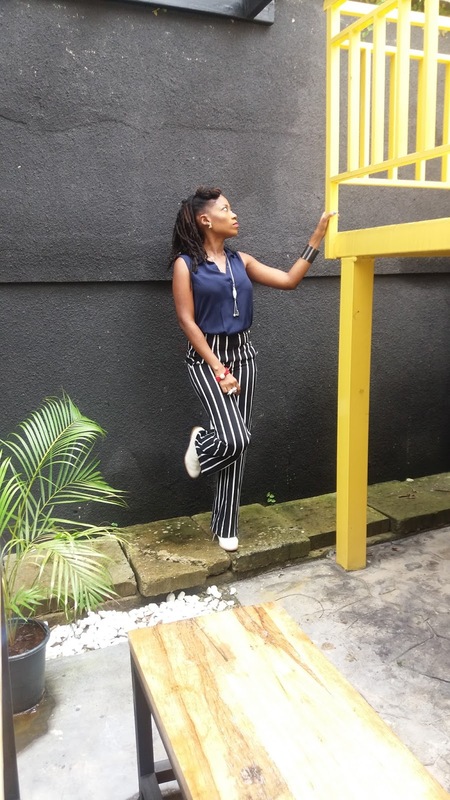 Tosyn Bucknor's Blog: #StyleSaturday Saved by the striped pants! Last week, i went for the Stylvo Creatives Connect event. 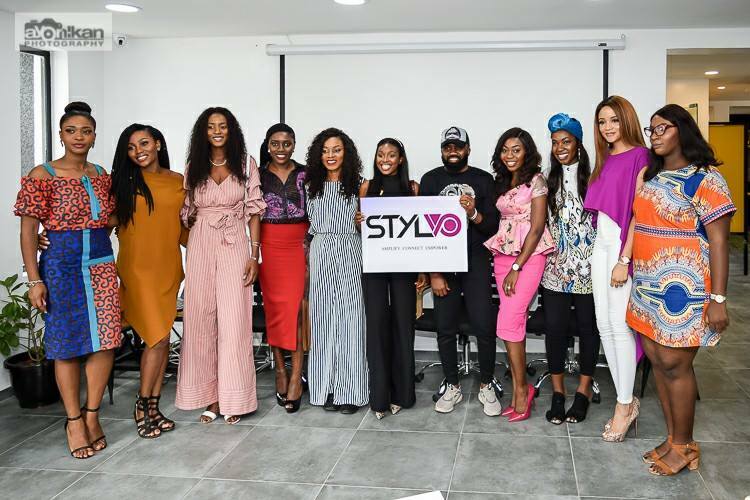 I wrote about it for Kwesefied here. My stylist and i had picked out what i was going to wear- oversized white shirt with a maroon jacket. It was chic and definitely not my usual style. Sadly, the next day, after putting on my make up, i went to get dressed and i just could not wear it because the shirt was too rumpled and i was running late. So there i was trying not to panic as i watched the clock tick. I began looking at what i had and trying to think of what to mix and match quickly. 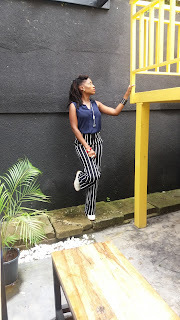 In the end, my eyes landed on these striped pants and it was a bingo moment. Once i knew i was going with the pants, everything else became easy. I would have liked a white shirt with it and now i know one item i simply must buy next shopping spree. Next best option was the sleeveless blue shirt i eventually went with. 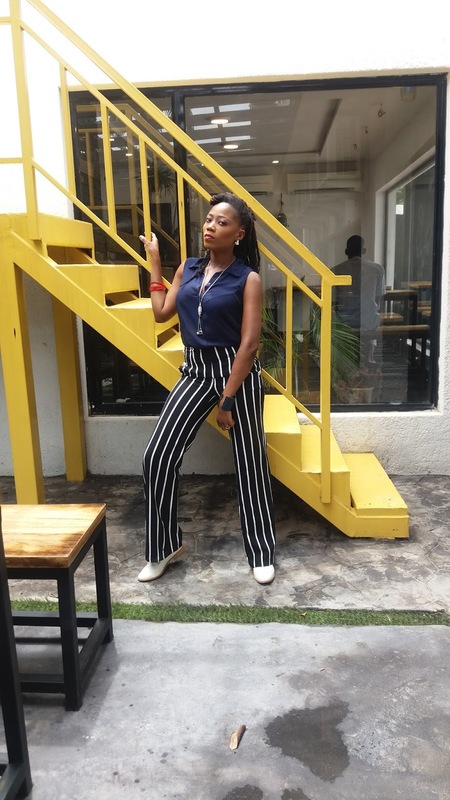 Although black items tend to be the most versatile items in your wardrobe, dark blue tops come a close third. White is of course number 2. So i threw it on, tucked it in, grabbed my white shoes and dashed out of the house.